This past Friday, I had the honour of celebrating VDL’s 10-year milestone with nearly 100 execs of past and present VDL seasons, including those of CDL’s and RDL’s. Looking around the crowded hall, there were so many familiar faces, many of which had become permanent fixtures in my own life. I was also happily reunited with many past execs and teammates that I had not seen in a while, but all of whom had once upon a time been reliable sources of support, laughter, and learning. Hearing many of the execs give speeches on stage and from conversations over dinner, it struck me that we all shared the same sentiment: VDL was a place where we embarked on our own personal journeys, where we learned about and discovered ourselves and many loved ones along the way, and for which we all became better persons. Part of what makes VDL so successful is its mandate – the fact that it has a clear mission statement with objectives for the volunteers involved in its makeup, one that permeates through the exec body, though many may not realize it. Early on in my volunteer time with VDL, Keith Bao asked me to help him with the task to clean up some of the numerous documents and templates the league had in its possession. One of them was this long 10-page list of VDL’s Core Values. You gotta hand it to the founders of the league, or the Original 6 as we like to call them: they had a lot of vision and ambition. Anyway, Keith explained it to me in detail, and it whittles down to three things: Fun/spirit, teamwork, and self-development. I spoke about the first two at length in part 1, but the last aspect is a little hard to see if you aren’t an exec. Anyway, under the patient guidance of my directors at the time, Cat and Cheryl, and later on through 6-7 Marcom directors (some say it’s a cursed position), I’ve not only learned the skills of copywriting and copyediting, I’ve also learned to produce results within a tight window; write in different styles, tones, and for different media; coordinate with different departments; and catering to graphic designers’ whims (Just kidding! 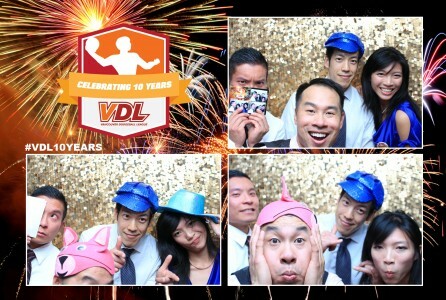 They’re lovely people, really, and VDL has been lucky to get many stellar individuals)…just to name a few. My experiences at VDL has exposed me to different working personalities and skill sets, and trained me to adapt to various styles of leadership. I’ve learned to ask the right questions, speak up where needed, and gained confidence in my own abilities – all valuable assets in the work world. I’ve added to my portfolio through my time with VDL, and have even gotten working opportunities through the connections I made here. Boring work stuff aside, other perks of being a VDL exec include turning me into a better dodgeball player; there are more chances to play dodgeball, learn from the vets, meet new teammates, and being better acquainted with the rules. It’s also forced me to recognize my alcohol limitations…ah, whom am I kidding, of course it didn’t. I’ve just learned to drink more. Thanks, VDL. It’s had its ups and downs, mostly ups, and looking back, I wouldn’t hesitate to say that volunteering with VDL was one of the best decisions of my life. Coincidentally, this weekend also marks a personal milestone for me. As I become another year older, I’ve also decided that it’s time to move on to other things, and other writing projects. I want to give my sincere thanks to all of you who have stuck it out and read this blog these past several seasons. It’s certainly been fun for me for me to write Beyond the Opening Rush, and I hope it’s been fun for you to read too. I’ll still be sticking around and you might feel my creepy presence through future VDL webposts, email blasts, and announcements you read, but until then, maybe I’ll catch you on the courts. You can’t miss me, I’m the one who looks like I’m about to murder somebody.